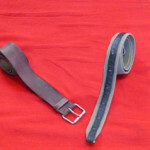 Belt – There are two styles to choose from: a plain brown leather belt with roller buckle, or a web belt with roller buckle and leather reinforcements. Either style is acceptable. 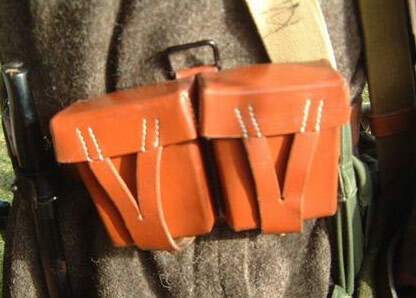 Ammo Pouch – One or two pouches for the weapon you take to the field. You must have at least one. 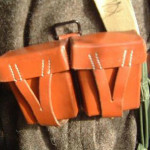 For Mosin Nagant rifles, ammo is to be carried in the leather 2 pocket style ammo pouch (not the late-war impregnated canvas/fake leather M44 style). 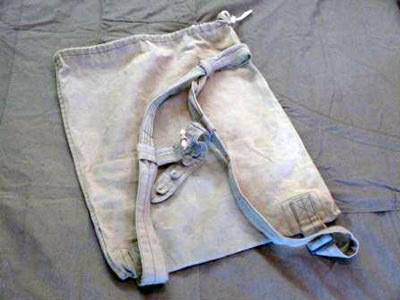 For any of the submachine guns, there are cloth magazine pouches holding drum magazines or long-style magazines. 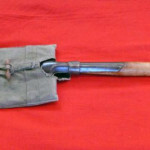 The SVT-40 uses a special leather pouch holding two magazines, but a Mosin Nagant pouch was frequently carried on the other side to reload the SVT-40’s magazines with loose rounds between firefights. 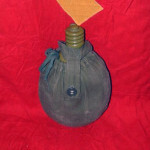 Canteen – A metal canteen with khaki or greenish cover. 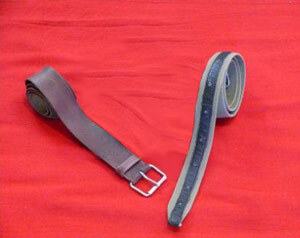 Some post-war versions are acceptable, as the Red Army used the same pattern up until the 90’s. 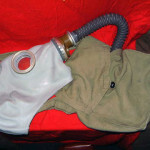 Gas Mask Bag – A common item for the Red Army soldier to have. 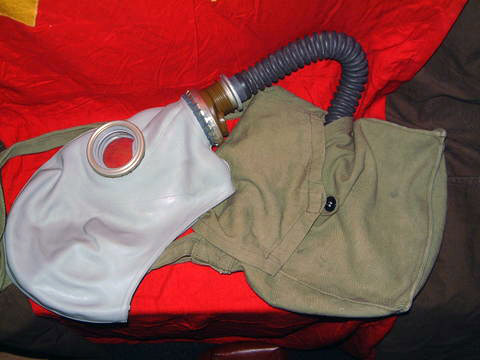 Red Army soldiers would frequently discard the gas mask and use the bag to carry things like food, extra ammo, personal items, etc. 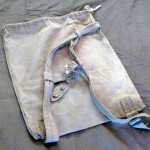 Some models of post war bags are fine; hunt around on eBay or other online retailers to find one. 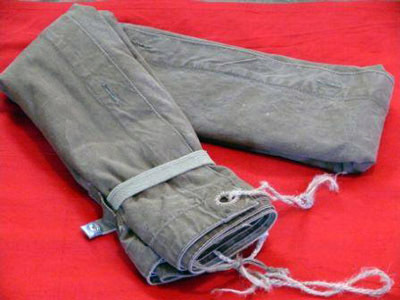 Rain Cape (Plasch Palatka) – The Russian soldier’s rain cape. 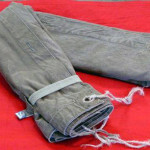 Post war ones exist, but are tricky- only ones that have leather rivets (reinforcing around the corner holes) are acceptable. 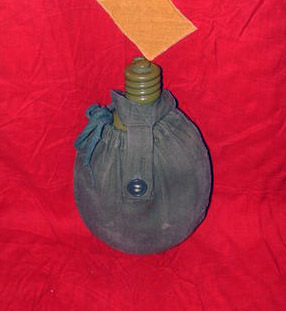 Backpack (Myeshok) – An ingenious item, this was issued to some Russian soldiers to carry whatever they could in the bag- food, cold weather items, field fear, etc. Reproduction and original ones are out there. Post-war ones also exist, but please consult a unit member before purchasing. 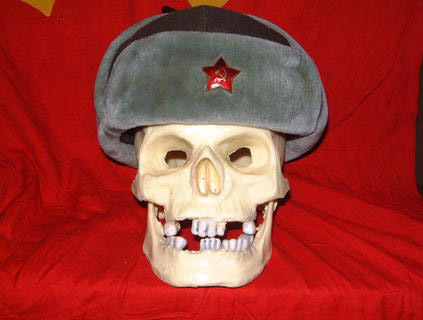 Fur Hat (Ushanka) – A classic piece of cold weather gear for the Red Army. This was the standard wartime cold-weather hat, and featured pull-down flaps that would cover the ears and back of the head. Reproductions and post-war models are available; please consult with a unit member before purchasing. 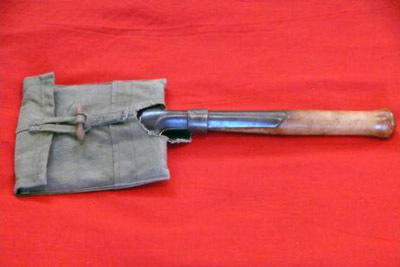 Entrenching Tool – A standard-pattern short shovel, carried in a canvas carrier. Several patterns exist and are usable. Greatcoat and/or telogreika padded jacket – Either a greatcoat, or a telogreika padded jacket is highly recommended, as some events we go to can be very cold. The greatcoats are typically least expensive, while the telogreika padded jackets allow greater freedom of movement. Post-war telogreikas are perfect for use. 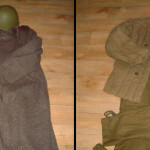 Most models of post-war greatcoats are acceptable, but check with us before buying one. 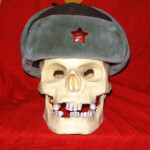 Both can be found very cheaply from online dealers located in Czechoslovakia or Russia. Look in our Suggested Vendors page for a few good vendors that sell these.